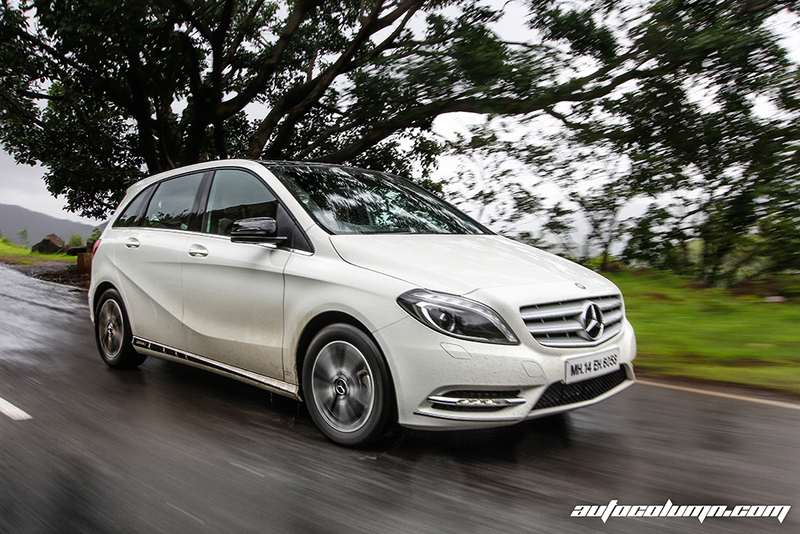 When Mercedes launched the B-Class in India last year, many people and enthusiasts were vocally skeptical about the company launching a front-wheel drive car. Their immediate response was that this will dissolve many of the things Mercedes stands for, including luxury and handling. They also said for Mercedes to get such amount of car at that price meant they will have to cut back on features and technology, which was always a Mercedes thing. Mercedes not only proved them wrong, but the added benefit which Mercedes got was that it attracted buyers from a much younger age-group. The launch of the A-Class seemed like it would hold back the B, but the B held its ground. To continue with the response Mercedes was getting for these cars, they decided to launch special of the cars; labelled Edition 1. What we have here then, are the A180 Edition 1 and the B180 CDI Edition 1. So lets get on with it. On the B180, visually, the black mirrors are the most striking part of the car. By now i have gotten used to the odd shape of a car or maybe it has grown on me in such a way that i seemed to like it now. The DRLs, though flashy, get the job of getting you noticed well done. The other change which the B180 Edition 1 features are the alloys and the ride height. The ride height has been increased to adapt better to the Indian condition (read: potholes, speed bumps and water logging due to rain). Mercedes won’t disclose by how much, but i guess it should be around the 20-40mm mark. The new design alloys suit the car much better than the earlier ones. The changes are similar for the A180 Edition 1 with black mirrors, new alloys and Edition 1 badging. The A is definitely the better looking car, especially with the diamond grille upfront. If you are not ready for it, you might as well have to pick up your jaw from the floor. Yes, its that gorgeous. Edition 1 also includes a black stripe along the side skirts for both the cars. Once we get in the cars, its a traditional Mercedes affair, black all over with a dash of wood on dashboard on the B while the A gives this a miss. The AC vents always manage to make you smile if you know that they are inspired from the SLS AMG. 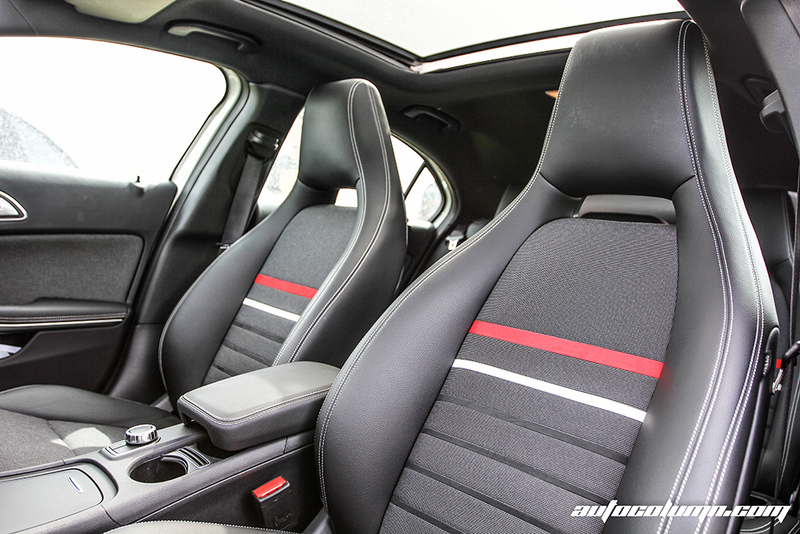 Both the cars get rear arm-rest with cup holders, reversing camera and sunroofs. The B-class Edition 1 gets more specials which include a dual panoramic sunroof and a rear seat entertainment system with two screens which have USB and SD card slots. The co-driver seats are now electronically adjustable (Thankfully Mercedes noticed this was missing previously) with 3 memory settings. Edition 1 badging on the roof liner seals the deal on the inside. 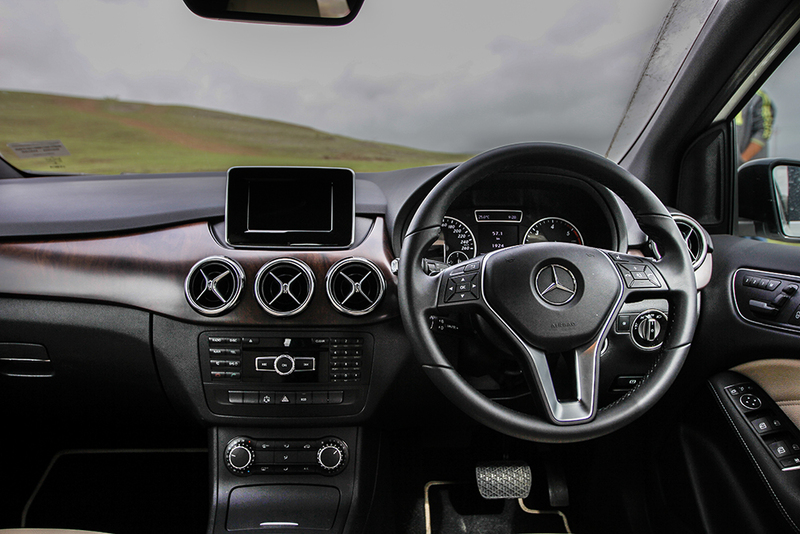 In the B, i feel the one thing Mercedes should have given more importance to, is the quality of the screens at the back as well as the COMAND screen. Somehow it does not live upto the standards set by the company until now and there is no reason why it shouldn’t. 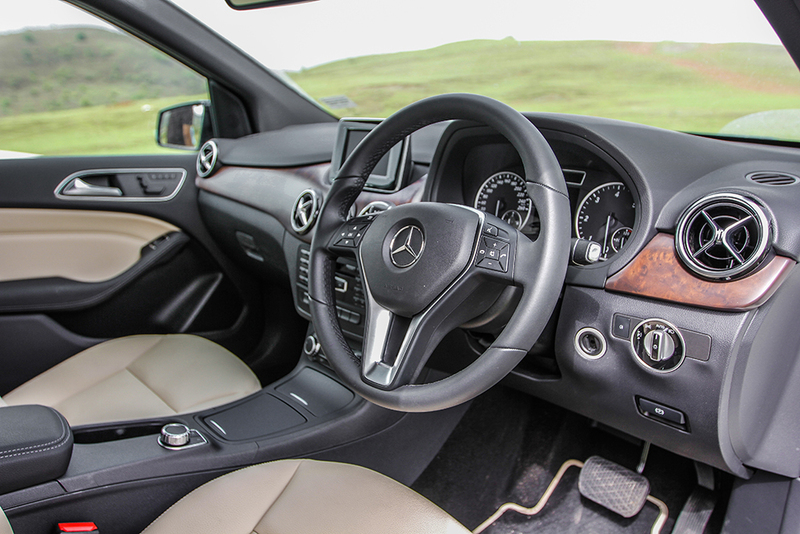 The A-class was never a spacious car but you still feel cocooned in a pleasant way. It might feel very racecar like but its not the most ideal setting. I am 6 feet and i fit comfortably in the rear seat, but i wouldn’t won’t to cover long distances in it. I’d be more happier in the B just because of its ample legroom compared to A. A little increment in recliner angle will help to counter upright posture. Out on the road, the B lives upto its Sport Tourer tag. It gets off the line pretty fast and even reaches 100 kmph with ease as the gearbox does a very good job selecting the right gear to give more power. The car looses steam above 130 kmph but thats not the speeds we drive on usually so we can let it go. The roads we tried the cars on had long straight stretches as well as a few turns and corners. 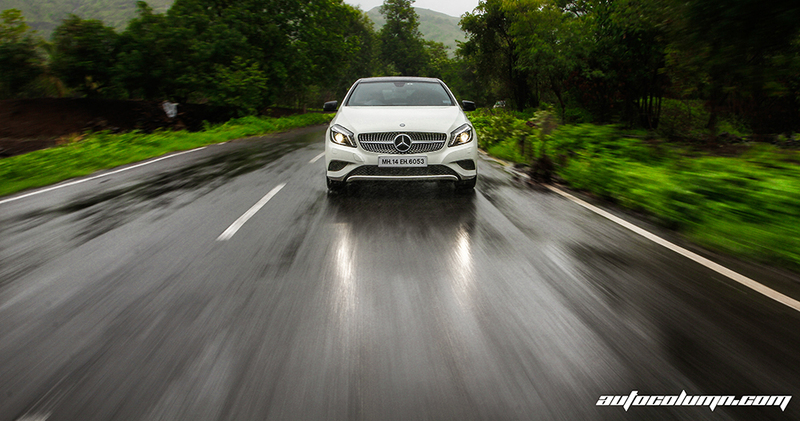 You’d be surprised, but on the straight roads the B achieved 0-100 kmph faster by a second than the A-class. We figured it might have been a mistake so we tried it again with the same result. Both feature the same 2.2 lit turbo-diesel engine under the hood with 107.3 bhp and 25.5 kgm of torque. The B180 tips the scales at nearly 1500 kg so it should have been slower. The reason we believe for the A to come second was the sudden drop in power in coming off the line. Pedal to the metal and instead of feeling a headrush you have to wait for the engine to gather it together, by which it is bit too late to catch up. Both the cars were new so we had to rule out any thrashing by testers before us. Handling and ride quality is never a problem with Mercedes or rather German cars and these cars again prove that. 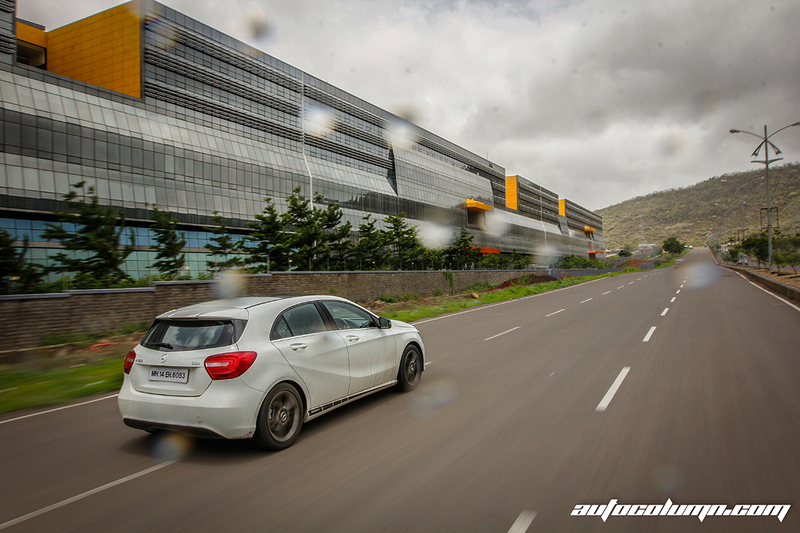 The A180 has a stiff ride and a few potholes can be felt in the cramped cabin with a thud, but on good roads the ride is exceptional. The B absorbs potholes rather well but you still have to be careful around big speed bums, especially if there are passengers in the car. Both cars feature three driving modes: Sports, Manual and Automatic. Paddle shifters are great but their novelty soon wears off as you slot into automatic with Eco mode switched ON. The gear-shifting in the automatic is really good for hectic city drives or a leisure highway drive, nothing to complain about on that front. The center console has a button labelled NAVI while the car is not equipped with it. 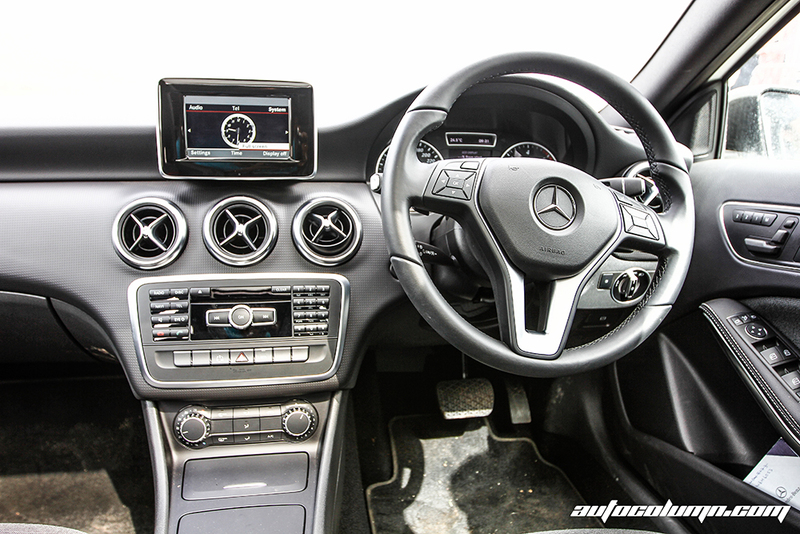 So has Mercedes kept it there just to make sure the arrangement of the buttons is not amiss? One of my photographers was a fan of EDM and another one would not listen to anything apart from Tomorrowland. I am into vocal music which i can hum along. At the end of the day none of us were disappointed with the quality and clarity of the sound coming from the system. Placement of the USB port in the front center armrest is bit different and odd. If you plug in your pen drive and slide in your wallet and phone in the compartment, overtime the USB stick is sure to bend along with the port and will work only if attached at odd angles after a lot of trial and errors. I have nothing to criticize about the lack of reverse parking sensors as i feel you only one of the following is enough, either a reverse camera or sensors and not both. Mercedes has added a reverse parking camera for Edition 1, to add to the features list. Deciding between the two is like choosing between two equally desired things, you want both. But if i was in the market for this budget, i‘d choose the B-Class as it makes more sense with a spacious cabin and better boot space. Rear seat passengers will be more comfortable in this if you undertake long distance trips occasionally. As a second or third car though, the A makes perfect sense. You can take your wife or girlfriend on a weekend getaway easily as the car gobbles up miles after miles and you have good music enveloping you inside. And not to mention, in style.